METALLICA Ride The Lightning (Sealed Test Pressing for the Limited Edition 2008 US 8-track 45rpm double LP pressed on 180gram Vinyl, originally released in 1984 & half-speed mastered from the original analog tapes at Mobile Fidelity. Confusingly, the release only came out as a single disc in 2008 under this catalogue number, but as a double two years later [on blue vinyl no less, this is black]. 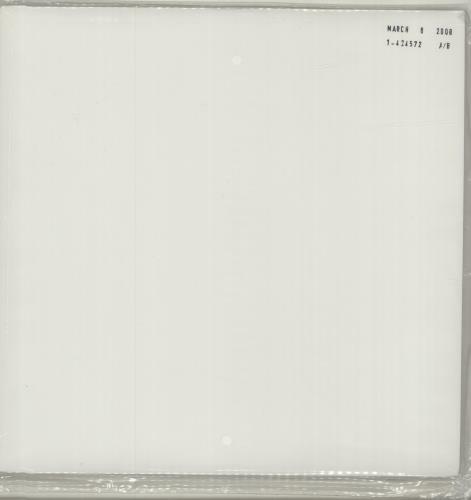 Both test discs remain unopened & unplayed in sealed tearbags with the perforated breather holes, housed in plain white sleeves with rubber stamped catalogue numbers, side details & the proposed 'March 6 2008' review date. A mint investment grade package!). or visit our Metallica image gallery.